Based on Bureau of Justice Statistics count of 2,228,400 adults in state and federal prisons and in local jails as of the end of 2012. Assumes that the decrease of 12,200 people over the prior year has remained constant. See Bureau of Justice Statistics Correctional Population in the United States, 2012, table 2. You can include the clock on your website by following our handy instructions. One out of three people behind bars is in a local jail. 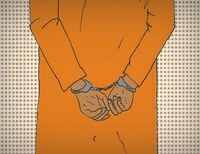 Our research drives jail reform. $1/minute to talk to Dad? 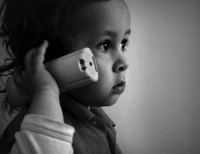 State governments must act to protect families from the predatory jail telephone industry. Criminal justice policy in every region of the United States is out of step with the rest of the world. We are leading the movement to protect our democracy from the Census Bureau's prison miscount.